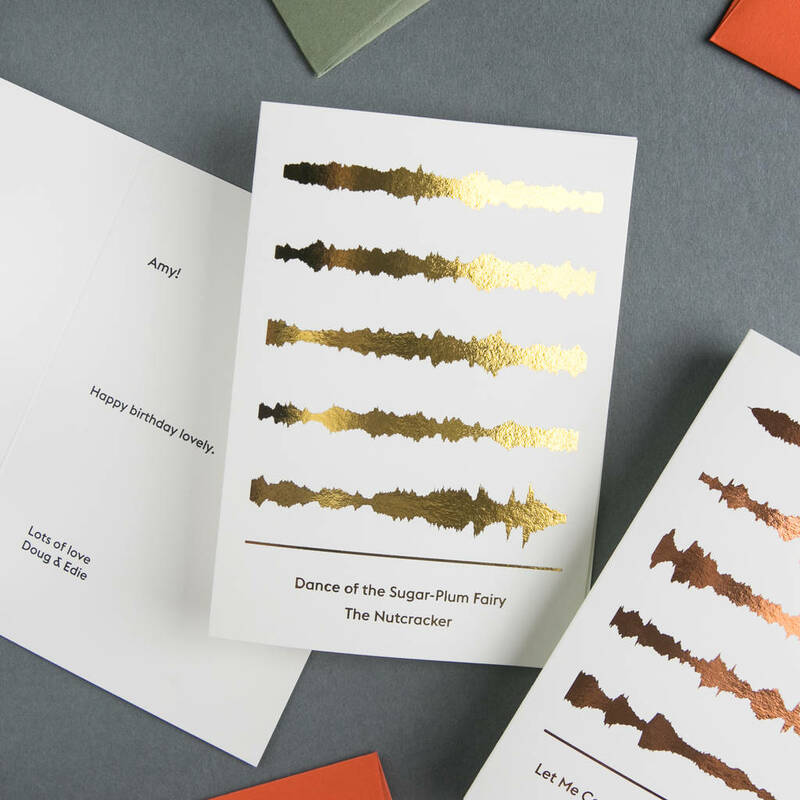 Send any song you like, with our metallic foil sound wave greetings cards. This is our smallest soundwave art print, in the form of an A6 greetings card. 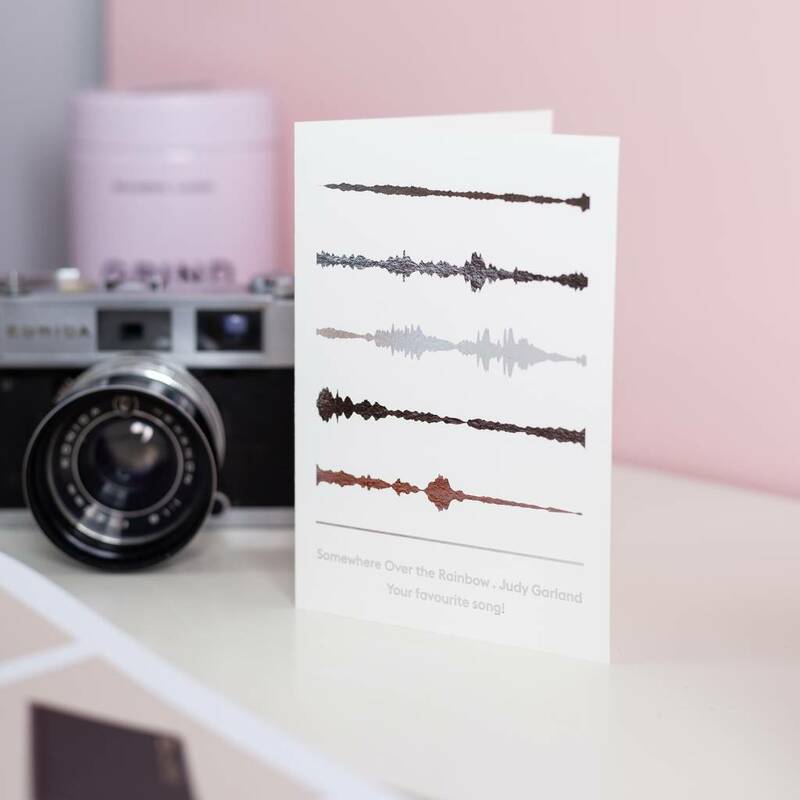 Perfect for gifting to music lovers and anyone with a special song. Tell us what song you would like us to use, and we'll turn the audio into a visual soundwave. If you'd like a song made from your own audio file, contact us through 'Ask the seller' for instructions. 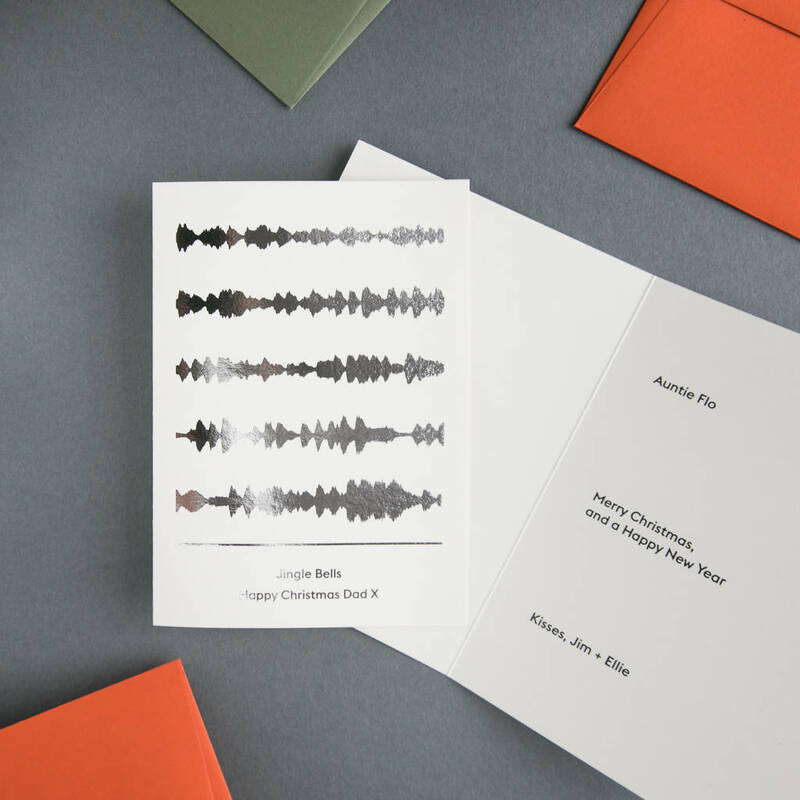 In addition to a personalised message, we can also print a Spotify code to the inside of the card, so that the recipient can scan the code with the Spotify app and play the song. To use the Spotify app, hit the search icon, then the camera icon. Point the phone at the barcode and the song will play. If you are sending this card direct to the recipient, we will seal the card, and add a first-class stamp directly to the envelope. In this case, please provide the recipient name and address at checkout. For orders going to the purchaser, we will send the card in a celobag within an outer card envelope. 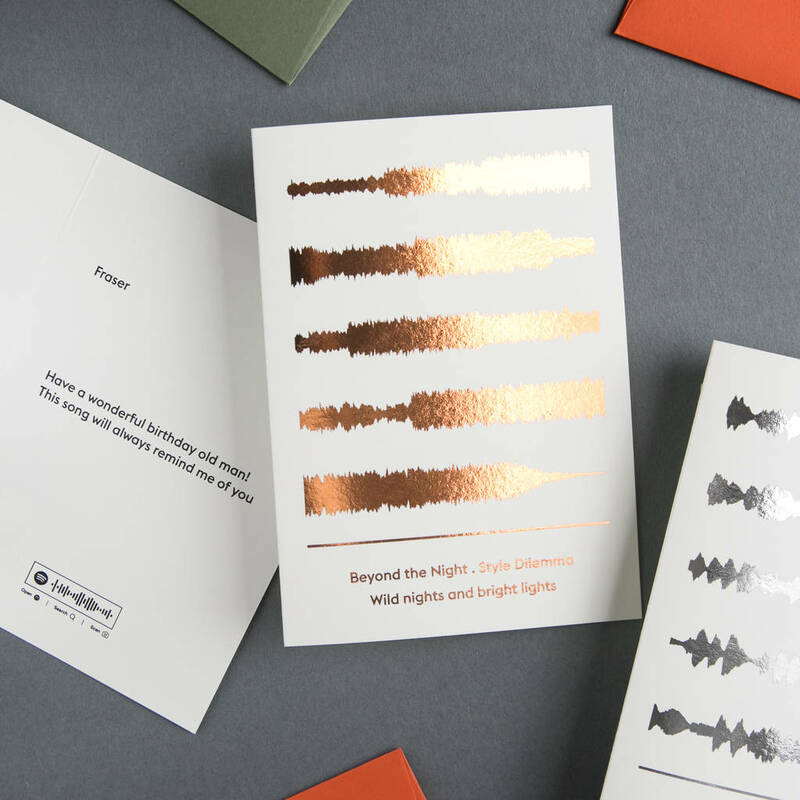 Metallic foil in gold, copper or silver applied to natural, off-white coloured 300gsm card. 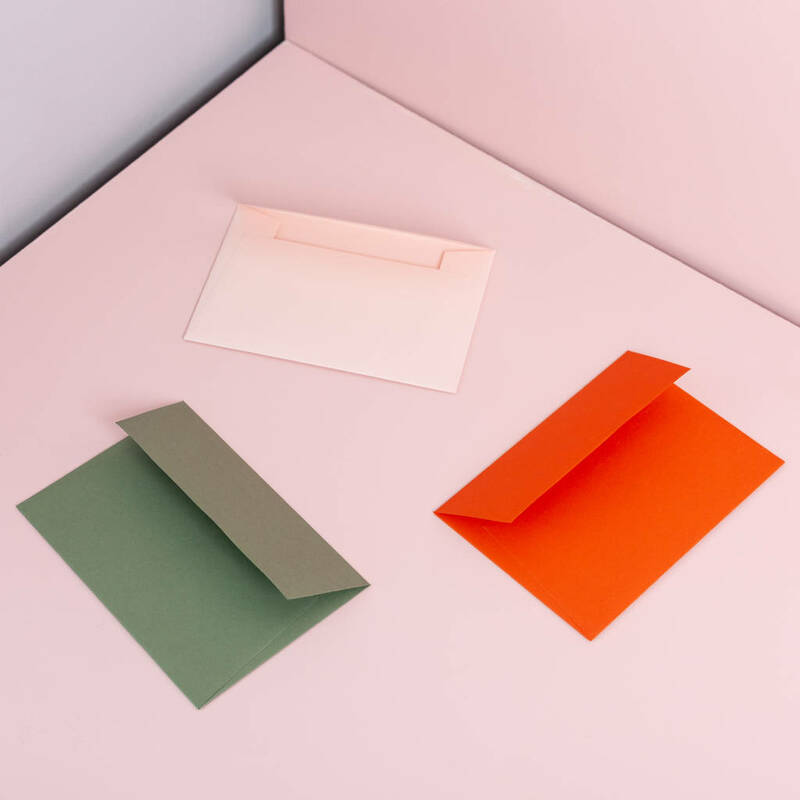 Luxury envelopes available in a choice of Mid-green Colorplan, Shell Extract, and Ember Extract. All text is printed as typed in the order form. Folded size A6 148 x 105mm. We will ensure that the Spotify code works in the UK. 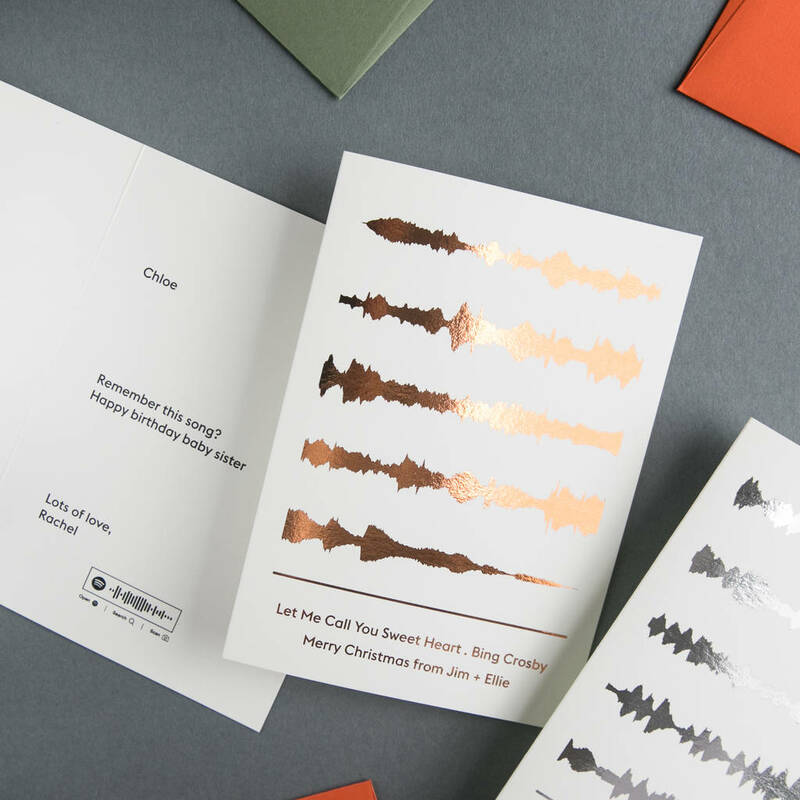 If you are sending the card abroad, please let us know. This product is dispatched to you by YVE PRINT CO..
More items from YVE PRINT CO.